NAVAL BASE GUANTANAMO BAY, CUBA — This isolated U.S. Navy base has many facilities and services to make life comfortable for the service members and their families stationed here. That includes a radio and TV broadcast facility holding more than 22,000 reel-to-reel and vinyl records, valued at as much as $2 million. 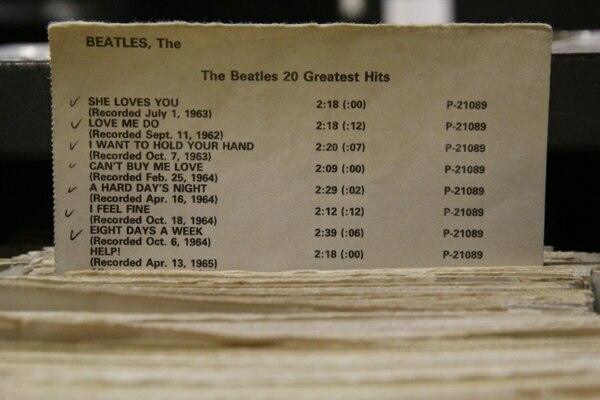 But it's not just any old music collection. This one, which includes a reel-to-reel of the Beatles anthology album and a recording of the "Good Morning, Vietnam" soundtrack, is rumored to house recordings that were never formally released. "I believe this is one of the largest, if not the largest, collection in the Armed Services Network," said Kelly Wirfel, base spokeswoman. Album track lists for the huge number of recordings in the Radio GTMO collection are neatly catalogued on index cards in filing cabinets. Alphabetized on wooden shelves, the records sit in square cutouts with their album track lists catalogued on index cards in nearby filing cabinets. Broken souvenirs, Radio GTMO apparel and other electronic equipment surround the treasure. The Armed Forces Radio and Television Service reportedly last appraised the collection in 2007 and found that the only way to yield the maximum value of $2 million would be to auction the records and reels individually. But that's impossible, since they're government property, Wirfel said. Radio GTMO, which has been on the island since the 1940s and in its present location since 1964, is the only source of American radio for American personnel on the base. It offers three stations — two play modern tunes and classic rock while the other is reserved for talk radio and news. The signal stops at the northeast gate, the entrance point to Castro's Cuba. The stations mainly play digitized songs, but the vinyl does come out for special events. 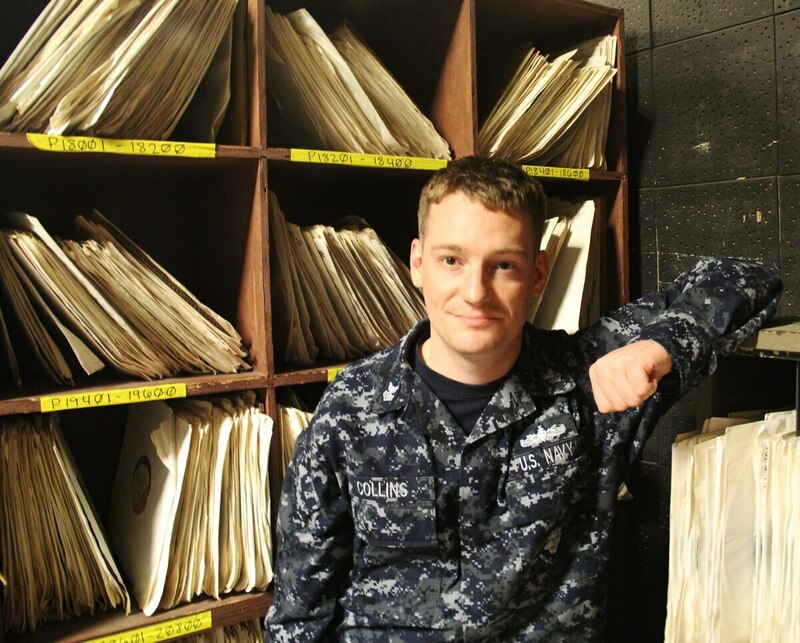 "We'll play vinyl records during the radiothon (fundraiser) because we'll get some really old requests," said Petty Officer 3rd Class Kevin Outzen, a disc jockey for the station. "I've heard that Armed Forces Network would like those records back to be archived and put into a museum," he added. Wirfel confirmed that the military is working hard to digitize the collection with the intent of turning it over to AFRTS. Radio GTMO has more than 22,000 reel-to-reel and vinyl recordings in its massive collection. 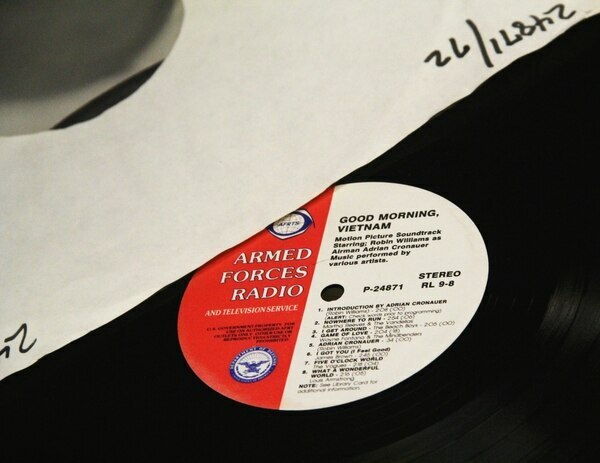 Adrian Cronauer, the Air Force DJ portrayed by Robin Williams in the classic film "Good Morning, Vietnam," said the collection is a "tremendous resource, and it should be put in a collection somewhere, a museum, a record company." Radio GTMO also broadcasts television programming from the U.S., and was reportedly the first Navy television outlet to have live studio color capabilities. Jarod Jared Collins, a petty officer and engineer at Radio GTMO, said the television signal comes in from satellites positioned in Europe on a six-hour delay. "So instead of Game of Thrones coming on at 9 a.m., it comes on later in the afternoon," Collins said.